Livin Life to the fullest!! 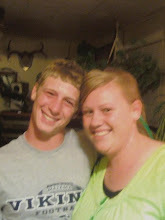 Sorry its so late to be posting these pictures.... 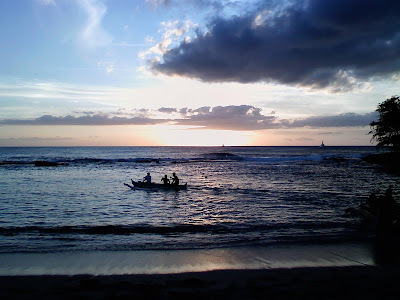 But here are the pictures from our "Make-A-Wish" sponsered trip to Wakiki, Hawaii back on October 19-24, 2009!!! What a time we had and never forgotten memories we made! This is how vince slept the whole 5 1/2 hours!!! Mom enjoying the wonderful chocolate muffin!!!! Dont ask...... I think just over excitment and not enough sleep???? Well we have returned from our long awaited trip to the beautiful island of Oahu, Hawaii. 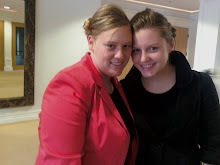 It was such a wonderful vacation and I honestly cant wait till I can return! I will post more pictures when I am able, but these are a few that I took with my phone. This is the view from my parents and brothers room. We stayed in the Waikiki Sunset, about a block off Waikiki beach front, on the 35th floor! 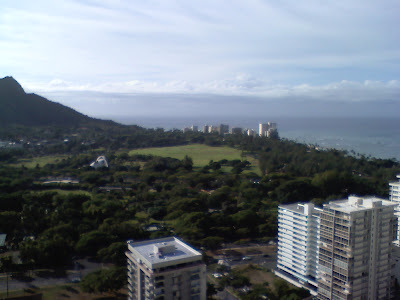 Their view is of Diamond head and the Waikiki beach, along with the Honolulu zoo below. And this was Tamsen's and my view from our room. 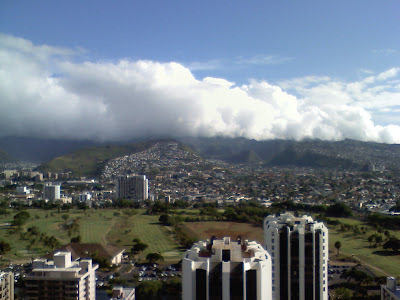 We had the view of the slopping view of the mountain side of Waikiki. 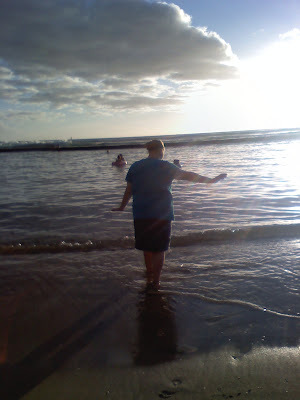 Me on the Waikiki beach at sun set on our first day. The water was so AMAZING!!! So warm. This is where we went snorkeling. 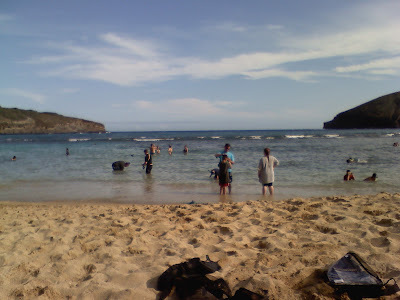 This is Hanauma Bay near North Shore. There is all kinds of fish of all colors! I saw one that was changing colors right in front of me!!! There is also see turtles my mom, Tamsen, and I chased one around one till Tamsen got close enough to touch it! She was so excited! 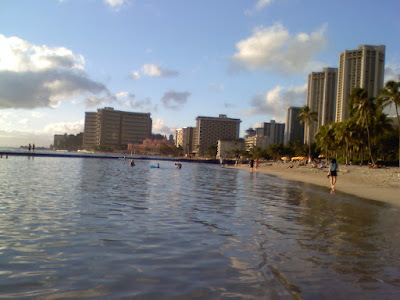 This is the Waikiki beach front that we spent more of our vacation. Wonderful and refreshing. 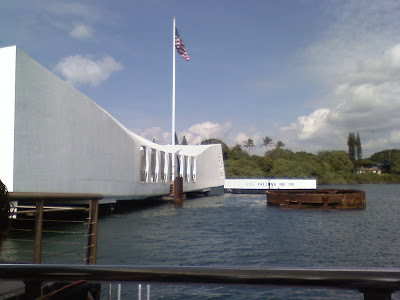 The USS Arizona Memorial. I believe this was one of my favorite parts of the whole vacation!! This is the beautiful sunset while we were at the Luau at Paradise Cove. 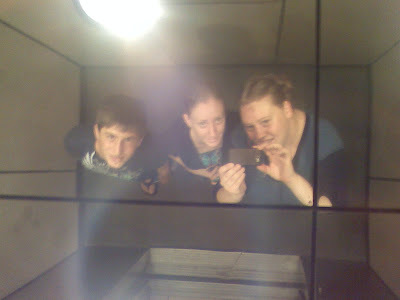 This is Vincent, Tamsen, and I in the elevator on the way down the long 35 stories. I personally was not expecting this!!! You know they had a blast!!!! Mary had a little Lamb, His fleece was white as snow. 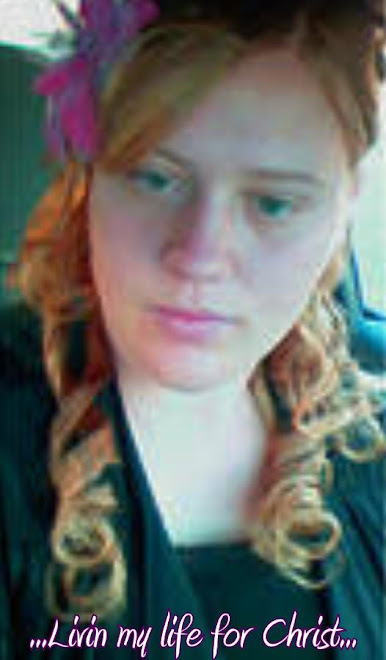 And everywhere that Mary went, the Lamb was sure to go. 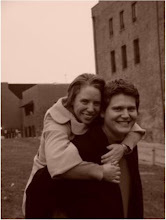 He'd follow her to school each day, when it wasn't against the rules. He made the children laugh and play, to have the Lamb at school. Then one day the rules changed, against the law it became, to bring the Lamb to school or even speak His name. Everyday got worse and worse, and days turned into years. Instead of hearing children laugh and play, you hear them crying tears. What must we do to stop crime that's in our schools today? and teach our children to pray. You having a long day??? You ever feel like this at the end of the day??? just fighting to stay awake??? ?